The notice of the formal censure is, of course, bitter sweet. I cried when I received it. The grief, the anger, and the sadness you feel when you pet goes without treatment as a result of medical errors is undescribable. The fact that he likely died sooner than if the medical errors hadn't been made is almost impossible to reconcile with. What is also extremely traumatic is the lying that surrounds the denial of the medical mistakes. The owner of College Park Animal Hospital, Thomas McMichael, DVM, tried to deny responsibility for one of his staff failing to see Smokey's congestive heart failure on an X-ray by stating that this condition cannot be seen on an X-ray. When I explained to him that this is not true, that the X-ray is the primary tool in diagnosing this disease (according to all the medical sources), he became defensive and hostile to me and my family. We were volunteers at the time with a rescue group that uses College Park Animal Hospital as its primary vet. It had several sick homeless dogs boarded there, and the four of us would spend up to ten hours a week to take them out on walks. When I wanted a real explanation for Smokey's missed heart failure, Dr. McMichael banned all four of us (all my family members) from walking these homeless dogs, who are boarded at the facility 24/7 in cages, with no outside runs. This was very sad and traumatic. We do get some measure of satisfaction in the fact that the veterinary board issued a censure for failing to recognize Smokey's CHF on the X-ray and that the vet who missed it received additional training, so his future cardiac patients may not suffer the fate suffered by Smokey. So much for Dr. McMichael's theory that CHF cannot be seen on an X-ray. It's great to hear that this bad vet has been somewhat brought to justice, finally. Even a vet board, long thought to be a defender of questionable veterinarians, has acknowledged that McMichael was and is in the wrong. Hopefully, thanks to the tireless efforts of this blogger and others who fight for the ones who cannot fend for themselves, bad vets like McMichael will think twice before trying to cover up whatever mess they've caused and be aware that their actions do have consequences. We can't stop here. As of right now, there is still not enough veterinary malpractice legislation and no insurance, be it veterinary or pet. This leads many bad people to enter a market that can charge whatever price they want, claim that frivolous diseases should be prevented with shots that are sometimes questionable at best and suffer no consequences when they severely damage and sometimes kill what many consider to be a beloved family member. Vets need to be reeled in, whether it's a long-term problem of unnecessary booster shots that just bring in higher profits that sometimes cause long-term health problems and early deaths, whether it's not taking a closer look at an X-ray or whether it's letting unqualified people overdose these pets. Wonderful blog. Thank you for being brave and posting your story. Many people have horrific vet experiences but are too afraid to speak up. This issue needs to come out of the shadows. Your blog will go a long way to educating people about what can happen at a place where they think their pets are automatically safe just because they are with vets. Sadly, as you found out, that is not always the case. SO glad you filed on the vet and absolutely ECSTATIC that you got some form of justice for Smokey. Congrats and keep up the good work. 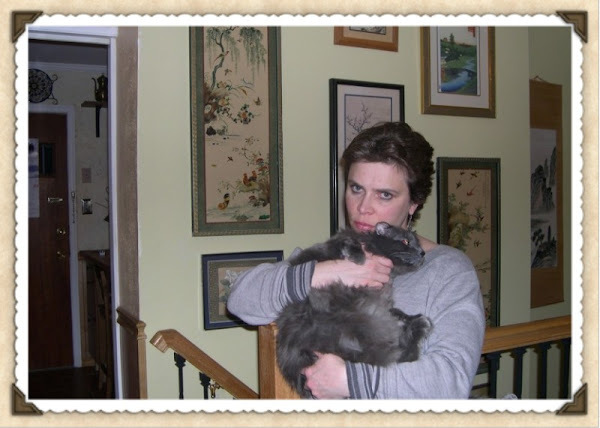 Natalie, Smokey's memory lives in a meaningful way by letting others know to be viligent with their own pet's care, paticularly older felines with possibility of congestive heart failure. Accountability and acknowledment within the veterinary profession is almost non-existent, and to blame the voiceless victim & caretakers is too par for the course. Hopefully, the state of Maryland will or begin to recognize this and change as a result of your tireless efforts. Thank you for your courgage to speak out! What a nice blog and memory to your cat. It is horrible that vets will not only be careless with our pets but they will also lie to us, try to intimidate us into reporting them. I am so glad Smokey got some justice in this situation, albeit too late for Smokey :( Smokey may have helped to save the lives of other pets who visit that same vet. For this, you should be proud. More people are speaking up about horrible situations at vet's offices and even if the vet boards want to turn a blind eye, the public will NOT! Thank you for sharing your experience as the vast majority of the public is unaware of what can and does happen. I walk in your shoes as well, my dog was to have a neuter surgery(NO SURGERY OCCURRED)my dog died and then the lies started. I call it "The Silent Crime" NO one wants to talk about it and the pet's can't. The State Veternary Boards dismiss most valid complaints and I question what their jobs really are. Public opinions are that this could never happen a vet would never do anything like this when in fact they do and it is becoming widespread. Included in that would be ,the prescriptions for medications, drugs without proper warnings or Client Information Sheets, which veterinarians are supposed to have from the manufacturers. Public wake up and research this, go to the internet because most veterinarians are NOT going to tell you. They risk profit. Profits from drug companies and the pet food industry. Why is it that our pets are becoming sicker with over vaccinations, cancer, and medications that harm or kill many pets? Many of you will not do any research until your pet is harmed or killed. Dear Devastated pet owner, I am very sorry about your loss. I hope you find solace in knowing that you are not alone in raising concerns about not only veterinary malpractice but also the work of the state boards and the emotional suffering inflicted on grieving pet owners by vets' dishonesty and evasiveness. I absolutely agree with you: Pet owners do need to do their research. They do need to understand what's behind the established vaccine practices and pet food sales. They do need to ask many questions and do their reading when considering medical options for their pets. As I said before, I will never be the same care-free and trusting consumer of veterinary care that I was before Smokey's death. And I recommend to all concerned pet owners to never blindly trust their vets. Thank you for posting, and I wish you healing and strength. It is very clear how much you loved your Smokey. The Board's decision makes it abundantly clear that the heart failure was indeed, visible on the xray. Also, it is clear that by failing to diagnose it, they deprived Smokey of appropriate treatment. What also incenses me is that, as usual, the board did not do enough. This is par for the course. When my cat was given a massive insulin overdose at Kindness Animal Hospital in Maryland, the vet was only fined $250. We, who love our pets, must fight back against this inadequate system. As for CPAH's fans and defenders, who I know are flying all over the web refuting every FACT based negative review -- one must wonder what kind of care they believe the pets they are responsible for should have -- clearly, quality and honesty are not foremost to them when it comes to selecting someone to care for the pets they are responsible for. I can only assume they don't really care about them. Or, perhaps there is some financial motive involved. 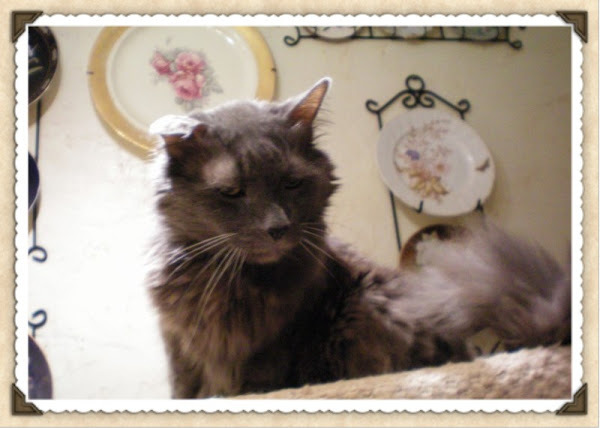 Smokey was a such a character: a feisty, mischievous, loving, purring, gorgeous, irresistable bundle of adorableness. He was my favorite and I told his mom this many times. The fact that he was subject to a wrongful and totally unnecessary death is a crime. Yes, he was elderly, but had his diagnosis be accurate he might have still been with us: making us smile at his antics. All veterinarians must be held accountable for poor judgement leading to death, suffering and pain for all concerned. Do veterinary schools have courses in compassion and caring for the animals they treat? They most defintely should have them included in their curriculum as mandatory courses! Is there a Consumers' Board of Review for complaints regarding the mis-treatment at the hands of veterinarians and Animal Hospitals in general? There definitely should be one, in view of all the horror stories I have heard from my friends. Unfortunately a great deal of human behavior is driven by punitive measures and unless there are CONSEQUENCES (real ones, not just a slap on the wrist) things will not change. All crimes require punishment/consequences. Smokey: we love you and miss you. Folks, thank you all for your kind words and for your fond memories of Smokey. He was a character, an unforgettably extraordinary creature in an oversized gray cat suit. We think about him all the time, and we miss him always, no matter how much we are in love with our new generation of cats (each one of them quite a character in his own right). 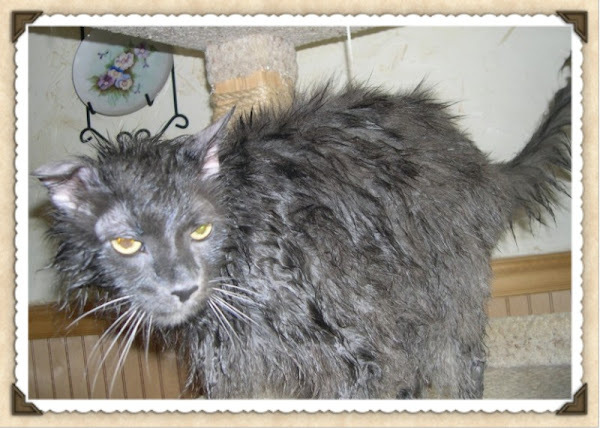 As much as I hate to divert the attention away from Smokey, this blog was created for the purposes of imparting information on consumers of veterinary care. For current and/or potential clients of College Park Animal Hospital, I have the following update: either Dr. McMichael or someone on his behalf has been working hard in an attempt to remove the news of the censure from the Internet. We had updated a number of review sites with the information of the formal letter of censure issued by the State Veterinary Board to Nathan Wehrli, DVM, for his "failure to recognize" Smokey's heart disease on an X-ray, and most of the updates stayed up despite the efforts to remove them. Our updates on Insiderpages.com, however, have been removed, along with the original review I had posted about a year ago. The update portion of the Yelp review was removed as well (the original was left in place). And get this: Dr. McMichael and/or the fans also petitioned Yelp to remove SMOKEY'S PICTURES from the review! They must really not be in a good place: to feel so threatened that a cat's PICTURE bothers you to the point of petitionning Yelp on the basis of its inappropriateness...it must be rough. What can I say? Sad, really. That's all I can say. Odd that all these reviews sites buckle so easily and remove any hint of negative comments. Well then they lose credibility completely! So far Doctorscorecard, vetpeeves, ripoffreports.com seem to keep posts permanently as consumer-oriented sites. The others seem to be social-networking type sites. Smokey's new pictures are beautiful--my fave is with Alex. Thanks Barbara! This picture of Alex and Smokey is indeed priceless. It's my favorite too. 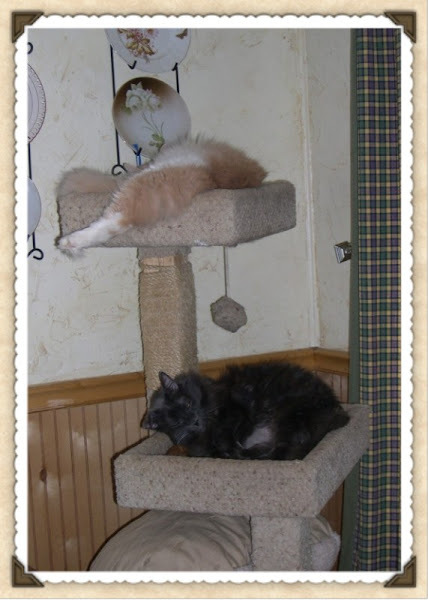 It shows how enormous Smokey was. 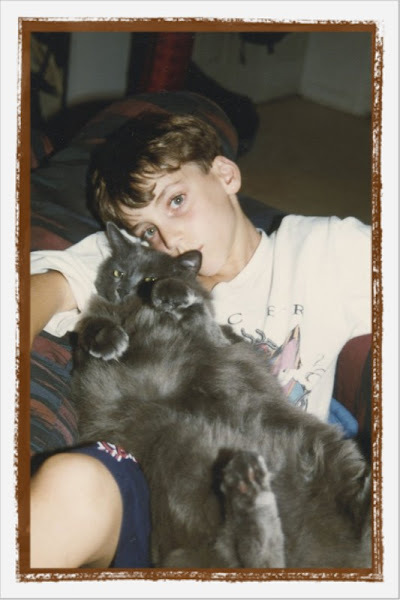 Alex was a tall kid, and stretched out, Smokey was half his height (length?). It also shows off his luxurient fur in all its gray[t]ness. Alex and Smokey "grew up" together. Smokey slept on the upper bunk with Alex, jumping onto it from the floor in one leap! He was very athletic in his younger years. The two were insparable and partners in crime! If they got in trouble with mom (that's me), Alex would say: "He started it!" He really thought of Smokey as a sibling for the first few years. As for these reviews, it is odd, as you say. All the ones you mentioned have also kept my reviews, so at least there are some that maintain a semblence of objectivity and uphold our right to speak out. The others, oh well, I am not going to lose any sleep over having a couple of them yank my reviews. Great post! Thanks for sharing such a awesome information. I must say very good job.